Temporarily painted as a low cost way to add colour and fun, this alley off of Whyte Avenue is great a place to stop, linger and explore. 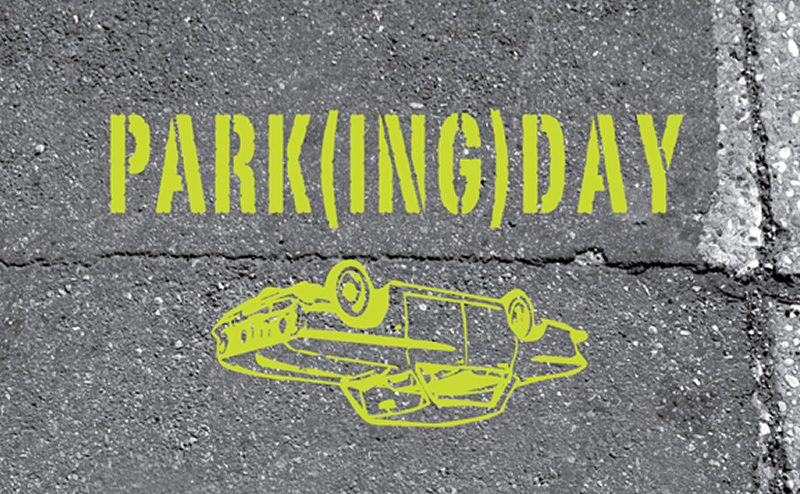 PARK(ing) Day is an annual worldwide event where metered parking spots turn into temporary public parks to be used for art, design and creativity. CITYlab and the Alberta Professional Planners Institute invite Edmontonians to celebrate World Town Planning Day each November. #DIYcity was a citizen driven urban makeover. 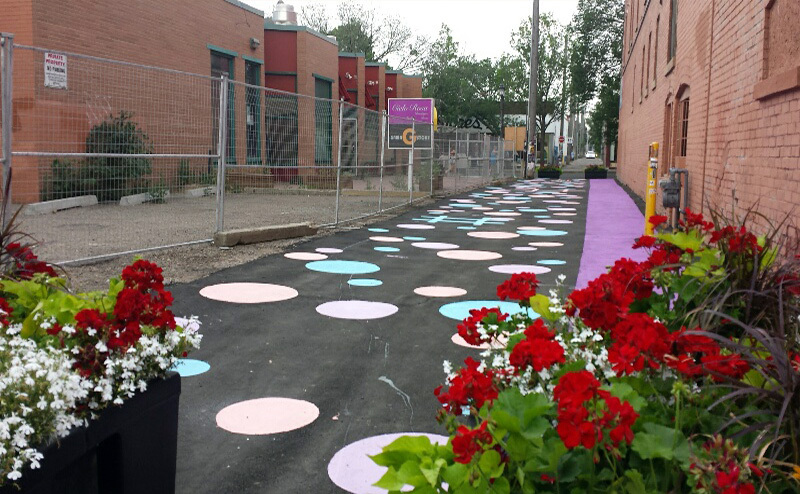 Together with Make Something Edmonton, CITYlab encouraged residents to create short-term, safe, fun, placemaking projects to turn underused spaces into welcoming places. 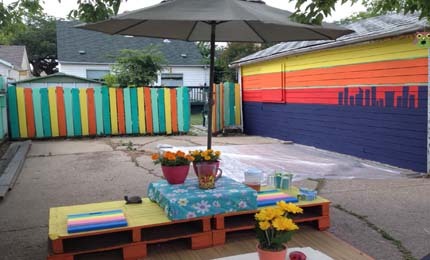 Projects included friends painting their back garage to add colour to the alley, a community garden tour, a chalk mandala, a pop-up patio and so many more! 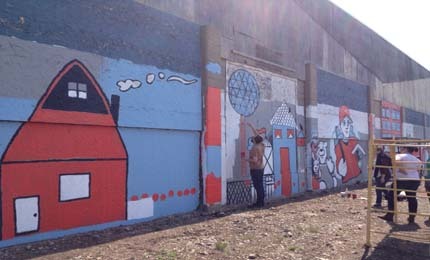 There were over two dozen projects happening around the city. 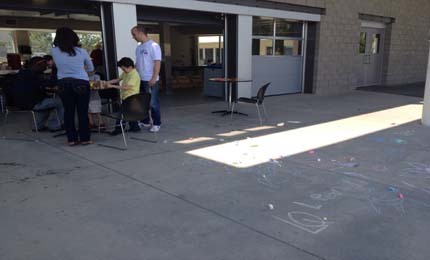 It was exciting to see the creativity and new ways for people to gather and interact! 100in1Day is a global festival of civic engagement that encourages individuals, communities or other groups to take part in simple, temporary, fun placemaking projects on with the goal of getting 100 projects in one day. 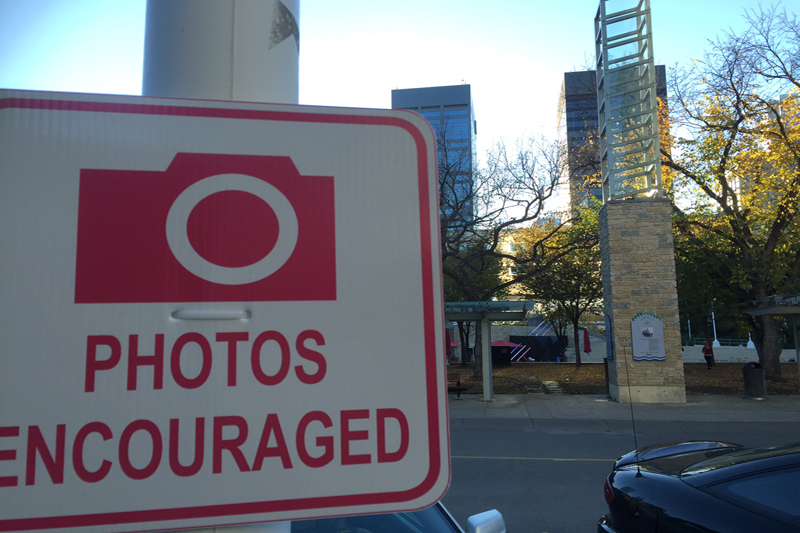 100in1Day was presented by CITYlab and Make Something Edmonton in 2016 and 2017. 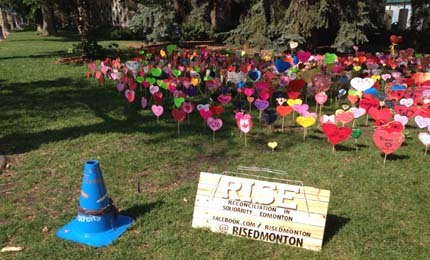 This event provided a chance for Edmontonians to share their love for their city by participating in small projects that sparked conversation and created inviting places. 100in1Day 2016 Evaluation - This report documents and evaluates the success of the inaugural 100in1Day Edmonton and is a first step in understanding the cumulative impact of citizen-led placemaking projects in Edmonton. 106 Fest was a collaborative event led by QA Crossroads involving the communities of Strathcona, Queen Alexandra, Allendale, Pleasantview and Empire Park as a way to experience 106 Street in a new way. The annual summit for the Council for Canadian Urbanism (or CanU) was hosted in Edmonton in September 2016. 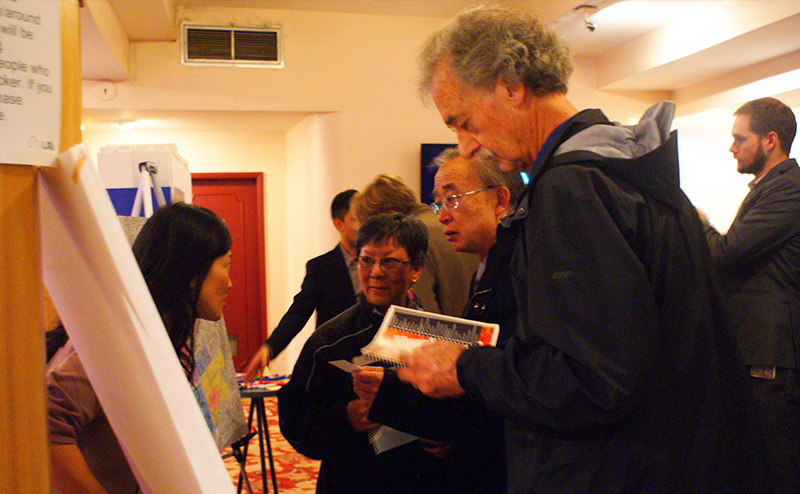 The conference attracted some of the top urbanists in Canada. With a focus on implementing people-centered design and creating great places for people, this conference was the perfect chance for CITYlab to contribute and highlight the vibrancy, creativity, and fun our city is known for. 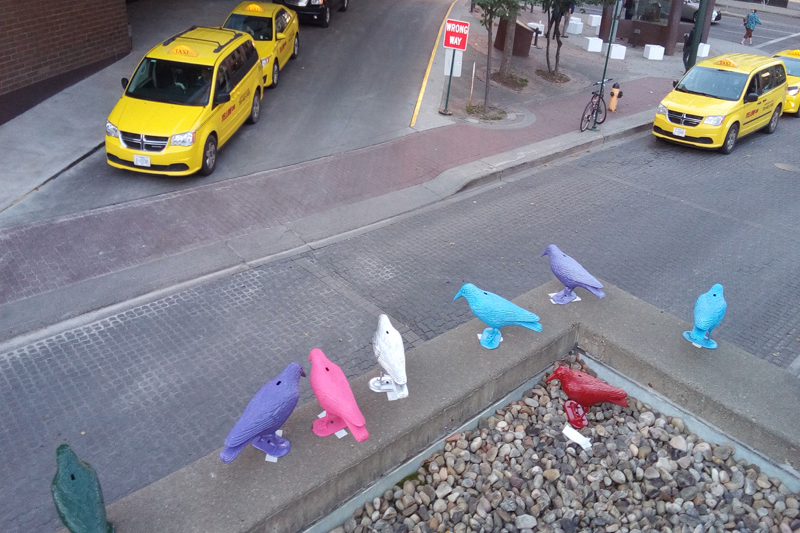 CITYlab executed three successful installations, including, The Birds, The Westin Chair Bombing and Sneaky Signage. 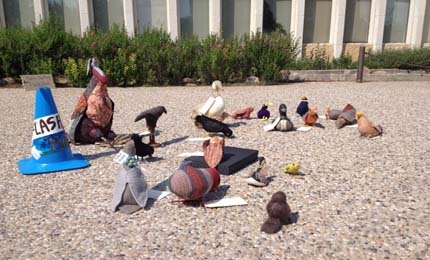 The installations were inspired by the conference theme of implementing people-centered design. CITYchalk was inspired by the many postcards CITYlab received, when we launched, that said to animate public space through chalk and colour. Artist, Jennifer Poburan, contributed an impressive collage along with the many people who stopped to chalk about Edmonton! CITYlab, in partnership with the Old Strathcona Business Association and the Accessibility Advisory Committee, tested out accessible ramps on selected storefronts on Whyte Avenue. Ramps were placed in front of businesses that have space for a ramp as per the provincial Barrier Free Design Guide. The ramps were painted in vibrant colours and were out during operating hours. The pilot project ran from October 15 - November 30, 2016. The goal of the pilot was to provide better experiences for those travelling with wheelchairs, strollers and walkers, as well as everyone else. CITYlab, Sustainable Transportation, Stony Plain BIA and Jasper Place Revitalization collaborated with Jasper Place High School to pilot student designed and created bike racks on Stony Plain Road! The pilot project provided an opportunity to engage students with their community and to allow them to tangibly contribute to streetscape design in a creative and meaningful way. On June 28, 2017, Edmonton Public Library (EPL), Make Something Edmonton, and CITYlab collaborated with artist Amanda Schultz from Curio Studio to insert thousands of yellow, blue and white cups to the wire fence on the north side of the Stanley Milner Library which is undergoing revitalization. 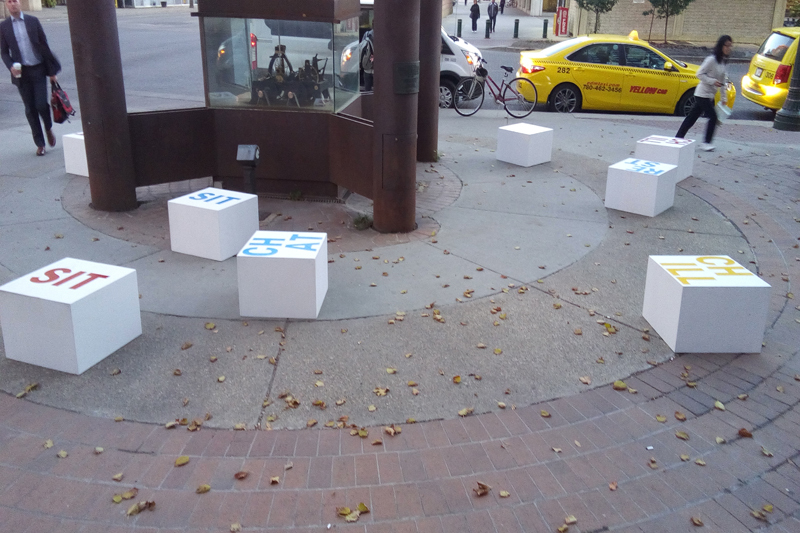 Thanks to the help of a dozen and a half volunteers, the installation demonstrates how a small example of placemaking can temporarily enhance a space. It showed that common temporary fencing, necessary around an active construction site, can serve its intended safety function while still adding to the public realm with that small addition of colour. The City of Edmonton's Transportation Planning, Transportation Operations and CITYlab collaborated to temporarily paint crosswalks into rainbow colours as part of the 2015 Edmonton Pride Parade. 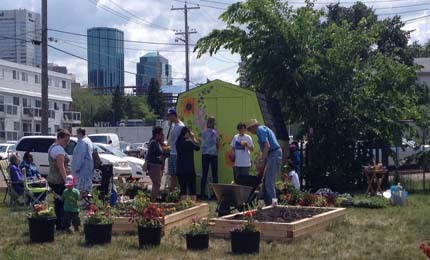 The Quarters Downtown Team, CITYlab, and fresh: Edmonton’s Food and Urban Agriculture Strategy collaborated to create a pop-up neighbourhood garden in the Quarters, and offered a series of free, public workshops on gardening and food in the neighbourhood. The garden was installed on June 3, 2106 as a project for 100in1Day. The garden was an opportunity to pilot ways to temporarily beautify vacant, City-owned lots, as well as demonstrate different ways to garden with low-cost, temporary, recycled or reused materials.